A battery or a gyrostabilizer or another type of payload is used as a counterweight. * The design of a custom-made unit may differ from image. > Advantages of the Pointer platform. > Advantages of servos with force control. > Method of comparison of video camera stabilizers. > General information about the new type of servos. 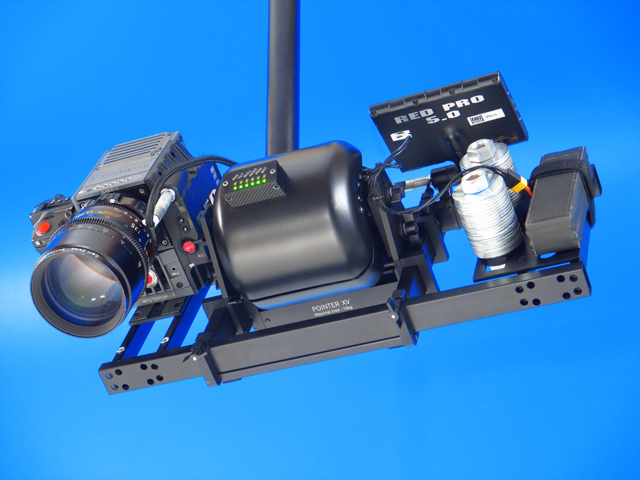 Unlike earlier solutions, inertial internal camera gimbal is able to reduce vibration to a high degree. It can address everything from high-frequency jitters and to vibrations of amplitudes as great as several tenths of a centimeter. 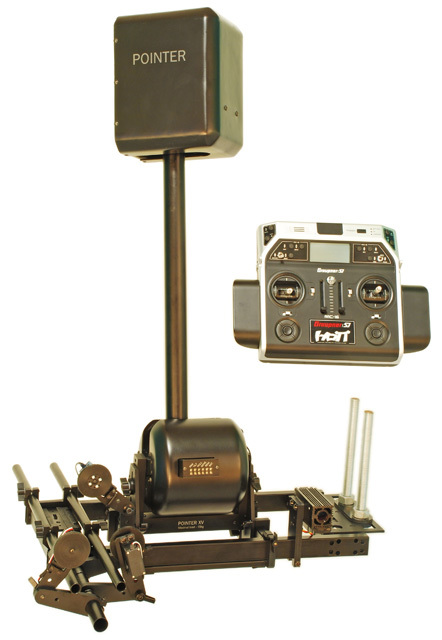 The device works through inertial stabilization and active damping using a new type of servo. Now you can use a telephoto lens when shooting from a cinema crane or using a long boom on an unstable base or when driving on rough roads. Servomotors with controlled force impact form the basis for this new generation of stabilizers. Camera operator requires that the camera remain stable with respect to the subject being shot. In other words, the camera should be stabilized in relation to the space or an optical guide rather than the relatively unstable base on which it sits. The problem of previous solutions is that the motors were stabilized relative to the unstable base. And no matter how accurately the corrections were calculated, the camera was never completely stable. The new servomotor is able to control forces independently of what happens to the unstable base. The only reference point for the new stabilizers is the position of the intended target in space.